Finally, you took the chance and broke out your turkey deep fryer. 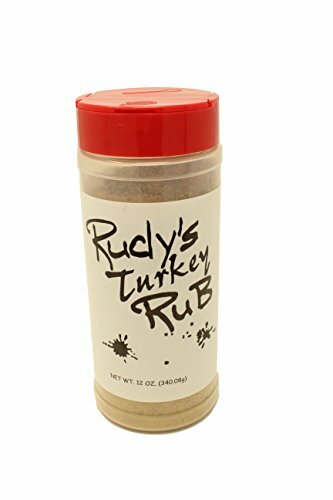 After buying it several seasons ago and swearing you’ll use it, you decided to put that juicy meat cooker to work. It is more work than just cooking a turkey in the oven. However, it’s most definitely worth it! Once you start deep frying turkey, you’ll never go back. For years people have told you how difficult and dangerous it is to fry a turkey, but you wouldn’t let that stand in the way of your crispy crusty creation. 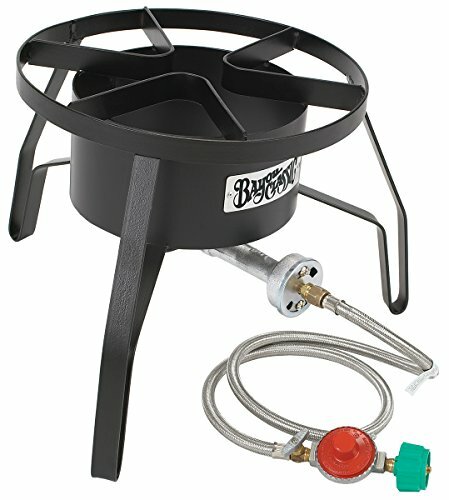 You set up a large propane burner. Then you lowered that turkey down in there. 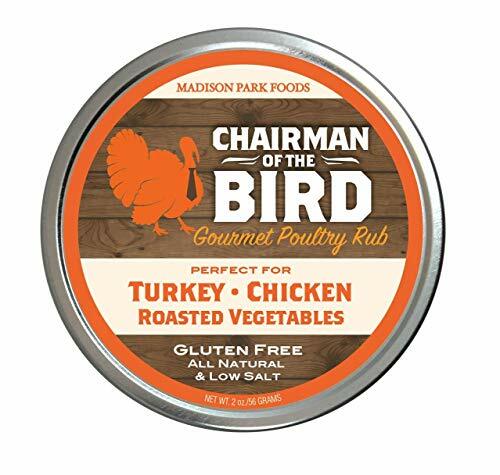 You listened to the sizzle as the most decadent bird you’ve ever tasted was prepared, and now it is time to clean up. 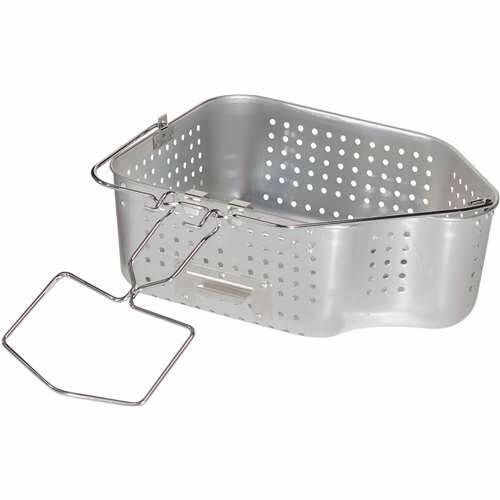 After sending your children and pets as far away as possible to limit the mess, you will be ready to begin the thorough process of cleaning your fryer. 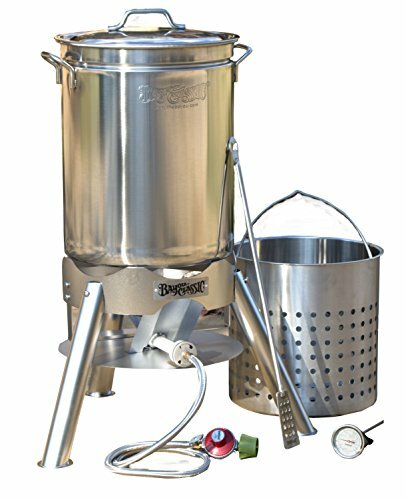 A good clean after each use will extend the life of your turkey fryer by years. Keep reading to learn what materials you will need to get your turkey deep fryer shining like new after every use. Before you begin this relatively messy process, you are going to want to gather all the materials you will need. Going back inside while you’re covered in grease and soap is not a very good idea. You will also want to make sure that the oil in your fryer is cool before you actually begin to clean it. Otherwise, you run a real risk of burning yourself. That would be a real shame because you would still have to come home from the ER and clean your turkey deep fryer and the oil would have congealed into a solid mass nearly impossible to completely get rid of. Wait at least a couple of hours for your oil to cool down, but not too long. This is especially true if you live in a cold climate. Your oil might become solid and the process will be much harder. 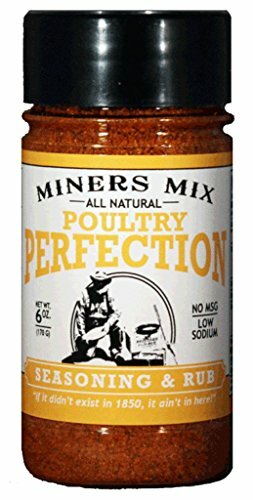 Once you have those materials outside you will begin the process of eradicating all that gunk from your turkey deep fryer. Are you ready? Rather than throw away your used cooking oil, you may want to transfer it to another container so that it can be used again another time. The high temperature the oil reaches will ensure that your meal is bacteria free, no matter how many times you use the same oil. Salmonella and E. Coli cannot survive in the harsh environment of a boiling pot. There is one caveat though, if you cook something particularly intense smelling in your fryer, you will need to purchase new oil. If you don’t, you will be able to taste that flavor on whatever you cook next. Using a metal coffee can to drain your oil into is a great way to either store the oil or dispose of it properly. For the next part of the process, you will need to use a very simple plastic spatula. This can be similar to the ones you would use to get that last bit of brownie batter out of the bowl. You will want to use this tool to scrape the inside of your fryer and remove anything that is stuck there. This residue should be placed into your large trash bag before you finish the job. Then begin using paper towels to claim any remaining oil or fragments of food. Now that your fryer is free of initial debris, you will want to fill it to the same line as you would oil. Only this time, use water. 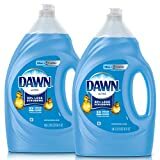 At the same time as you are filling the container with water, you will want to add some dish detergent. You don’t want to put too much in and make a mess of bubbles. Just add the amount necessary to neutralize the grease. Once everything is in the fryer you will want to turn it on and heat it until it boils. The bubbles formed by the dish detergent will power wash away any oil that may still be in the pot. Try to continue boiling for about five minutes. Once you have finished boiling, you will need to let the water and soap mixture cool down before you are able to dump it. Then you can rinse your pot and it will look as good as new. If after completing your cleaning process, there might be splotches that remain on the inside of the fryer. If this is the case, you will want to purchase something to scrub with. You will want to be gentle while you are doing this so as not to damage your pot with the abrasion. This is especially true with thin aluminum pots. We actually recommend sticking with the higher quality stainless steel stock pots. 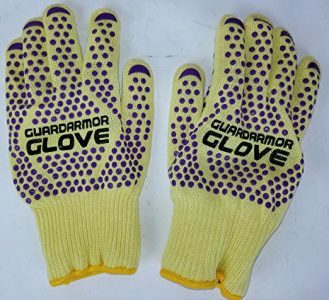 They are way easier to clean, and will also last you for a lifetime. A bit more expensive, but totally worth it. A one-to-one mixture of baking soda and water can be used to remove any water stains that appear on the outside of your turkey deep fryer. Once you have removed those pesky marks your pot will really shine. You should read the manufacturer’s instructions completely before using your deep fryer. Most of these pamphlets can be found online. Also, you should never attempt to use an outdoor frying setup inside your house or in any covered or enclosed space. A wide open space away from anything that can catch fire is the best! While using your fryer, constant supervision will be necessary to prevent any accidents. A responsible chef will monitor the turkey throughout its cooking process. This means that if you live in a cold climate, be prepared to be outside for a few hours. It’s ideal to have at least one other person around. That way, they can supervise if you need a bathroom of beer break! 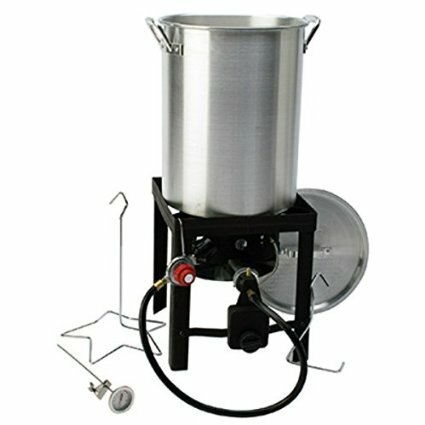 Now that you have all the knowledge necessary to clean a turkey deep fryer, you should begin looking for the best setup for your situation. There are indoor deep fryers and also outdoor machines that can suit any living environment. The key is to select the right fryer for your needs. That is how you avoid things like grease fires and trips to the emergency room. Whether you just need replacement parts for your current setup, or you want to find out about the most trusted brands on the market, check us out at Love Deep Fried Turkey today. 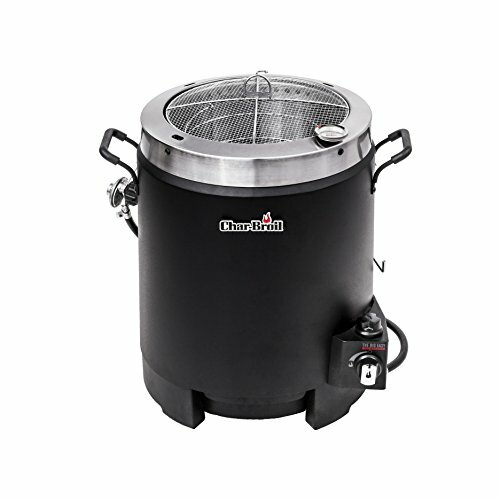 We offer information on competitive prices for the best models of turkey fryer. We also have a bunch of recipes and how-to’s that you will want to use. You will be amazed just how crisp you can get your turkey to be. Your family and friends will keep coming back for more and more! 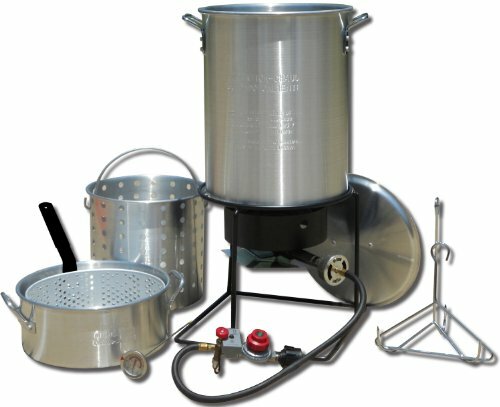 How to Clean a Turkey Fryer: Have your Say! What are your top tips for cleaning a turkey deep fryer? Leave a comment below and let us know your thoughts.